We all knew that Black Panther was going to be the best thing to hit theaters EVER. But just in case you were worried that it was being overhyped (how dare you), or people are just saying that because it’s a black superhero (yes, but still, how dare you? 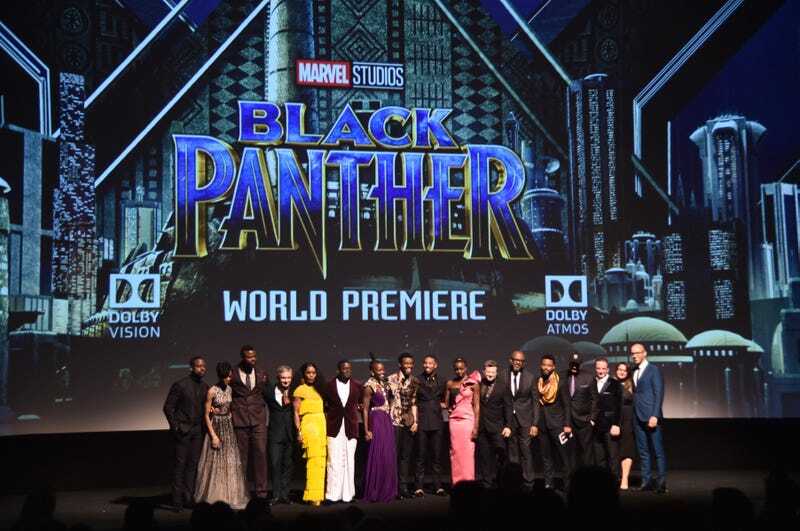 ), it turns out that writer-director Ryan Coogler DELIVERED, wowing all the lucky bastards who managed to sneak into the movie’s premiere Monday night in Los Angeles. I have never been more jealous of a group of people in my life. Not only did they get to breathe the same air as all our faves who acted in the movie and who showed up on the red carpet looking like real-life royalty, but they also got the first look at the long-anticipated film that gives me heart palpitations just thinking about it. As soon as the credits on the premiere started rolling Monday night, journalists, critics, celebrities and fans of all kinds fired up their Twitter fingers and started tweeting about how life-changing and iconic the movie was. ESPN’s Jemele Hill said that it was something you’re probably going to want to see five or six times. Thanks, Jemele—was already planning on it. Singer Jill Scott boldly proclaimed that the movie surpassed Star Wars ... in all caps. The tweets just went on and on, making me more and more jealous and more and more ready to camp outside my local theater for the next month. Are y’all ready—like, really ready—for Feb. 16? Because I may have to bring an oxygen tank with me.